Revita is one of Australia’s leading allied health groups. Our team work in aged care facilities, and strive each day to deliver happiness to our seniors and their loved ones. 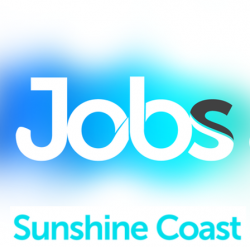 Join our team today to secure ongoing work in Kuluin, Sunshine Coast! Are you looking for work that is meaningful, ongoing and flexible? Are you passionate about improving the health and well-being of seniors? If so, we have the role for you! We are looking for inspired physiotherapists to work as part of a small and supportive team of allied health professionals. You will apply your clinical reasoning skills to achieve great outcomes for seniors and their families. New graduate physios are welcome to apply. We pride ourselves on our supportive family culture, built on our core values of excellence, leadership, loyalty, integrity and significance. We love our team environment, sharing special occasions, and inspiring each other each day. Our staff are our most valued asset, and as such we will provide you with a generous remuneration, superannuation, paid annual and sick leave, an abundance of PD and training opportunities, monthly education sessions, career progression, and work-life balance. We are extremely flexible, and able to provide you with a schedule that takes into account: family time, holidays, child-care & school drop offs, school holidays, outside studies or those easing back into the profession. If you love making a positive difference in the lives of seniors, please send through your CV and covering letter to Brooke, our People and Culture Coordinator.